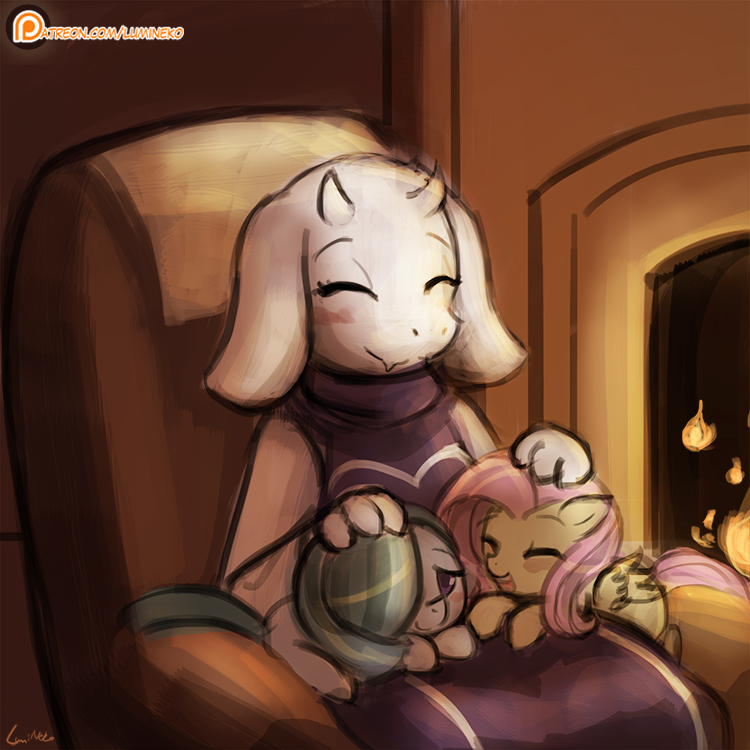 I think Toriel and Fluttershy will live really happy together. Nice picture. to much cyooot! TOO MUCH CYOOOT!